1890: Atop Birch Mountain, on the borders of Bolton, Manchester, and Glastonbury the Villa Louisa Estate started its tradition of serving fine food in an atmosphere of leisure. Edgardo and Louisa Marchesini from New York City, bought 120 acres of woods, farmland and the house they turned into an Inn. They would pick up their guests by horse and buggy at the North Main (Manchester) and Bolton Notch Railroad stations. In summer and winter, the Villa Louisa prospered as a retreat from City life where visitors could go hiking and hunting and relax on Birch Mountain. 1944: Frank Facchetti and Viafro Grandi take over the ownership and gestation of the Villa Louisa, with Mary Facchetti as main cook. 1971: Anthony Botticello of Manchester, becomes the new owner. Changes, remodeling, upgrading menu, change of the name from Villa Louisa into Vito’s Birch Mountain Inn, (in honor of his late father). Business is well taken care of by the entire Botticello’s family. The new banquet hall is built, replacing the coaches garages, used until then for the receptions. Vito’s Birch Mountain Inn is on its way to become one of the best restaurant and banquet facility east of the river. 1985: Anthony and Maria Lo Grasso take over, continuing the tradition of fine food. A face lift of the banquet facilities: the parking lot paved; landscape upgraded. The restaurant is remodeled again: a re-vamp of 1930 looks with an accent of modernity. 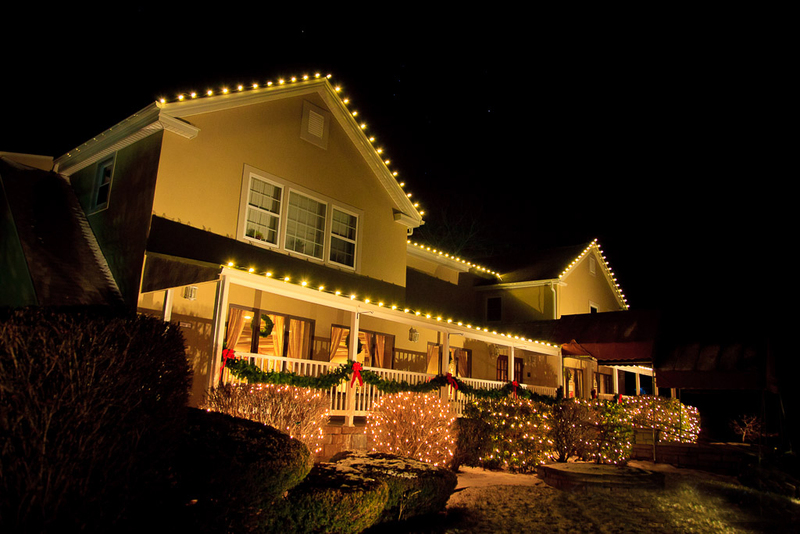 Five generations of innkeepers have worked with civic pride and doing their best to make Vito’s Birch Mountain Inn a nice place to dine and to entertain your guests. 2000: Anthony and Maria LoGrasso change the name from Vito’s Birch Mountain Inn to A Villa Louisa for the new millennium, expanding its wedding and banquet services to offer more flexibility in scheduling and customizing package menus for every occasion, including wedding receptions and ceremonies, rehearsal dinners, showers, anniversaries, corporate events, holidays parties, religious and social functions. The spacious Ballroom for up to 350 and the Sunset room for up to 90 guests can accommodate parties 7 days a week. A Villa Louisa is a multiple award winning banquet facility offering mouthwatering food and white gloves service at prices you’ll like. 2002: A new Gazebo with adjacent Wedding Ceremony area and surrounded by a pleasant landscape, renovation of the Sunset Room for intimate and cozy parties of up to 90 guests, new floor drop table clothes, gold Chiavari chairs are enhancing the Beauty and the capacity of the Villa. From 25 to 350, bring your guests to us for good food, good service and good times. 2010: A Villa Louisa changes owners again. Asim Etem, born and raised in Romania, learns about cooking as he travels to Turkey, to Italy and finally to the United States where he becomes Owner and Head Chef at A Villa Louisa. 2011: A Villa Louis is beautifully remodeled in a contemporary transitional style. It is the perfect marriage of Tradtional and Modern charm. The professionally landscaped grounds are improved by the addition of a bridge and lovely pergola. Sign up for discounts & promotions!